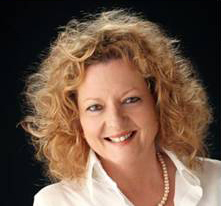 Vicki Bennett established Vicki Bennett Training which provides training programs on customer service, effective communication, achieving outcomes, leadership and building effective teams. These have been adopted by many companies in Australia and internationally. She has worked with many companies among them: Adecco, American Chamber of Commerce, Apollo Metals, Australian Institute of Management, BHP, BP Oil Australia, Brisbane City Council, Collection House Limited, Conrad Hotels, Queensland Education Department, Horsey Jameson and Bird, IBM, Lever & Kitchen, Main Roads Department, Mobil Oil Australia, National Speakers Association USA, QAD, Raine and Horne, SEPR, Shell Australia, St Andrews Hospital, Sun Alliance, Tasman Aviation Enterprises, Time Warner Inc and the Westpac Bank. Vicki has written many internationally successful personal development and leadership books for all ages including: Programme to Succeed, Mirrors – An Adventure into Ourselves, Take Me To My Garden, Mummy, I’ve Found the Keys, Now Where’s the Car, Making Dreams Come True, I’ve Read the Rules, Now How do I Play the Game?, Life Smart, The Effective Leader and Signposts for Life. Vicki has also contributed to young people through Young Achievement Australia as the past Queensland Chairman and as a National Trustee.